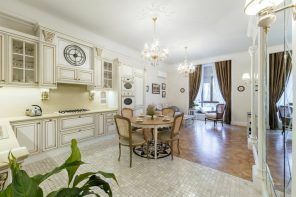 The furnishings and decor made with own hands, not only carry a bit of warmth and vitality of the master, but also able to make the interior of the room or landscape garden design environment unique, interesting and non-trivial. At low financial and time expenditures, you can get the home design elements, furniture and decoration from the simple wooden pallets, which usually remain after the construction work. They are made of a substantially rough, but very strong wooden boards, which are located not close to each other but at some distance. Try instead of kindling fire for barbecue with used pallets, apply them to create original furnishings in your home or in the garden. Of course, you`ll need to spend time to prepare products for craftsmanship, clean, sand and blot all surface, make the necessary measurements, purchase accessories for painting or varnishing. But it is clear that the financial costs of the necessary stuff do not go to any comparison with the cost of similar items in furniture stores. Your time and efforts will be compensated by the acquisition of a new piece of furniture, which would keep the heat of your hands. 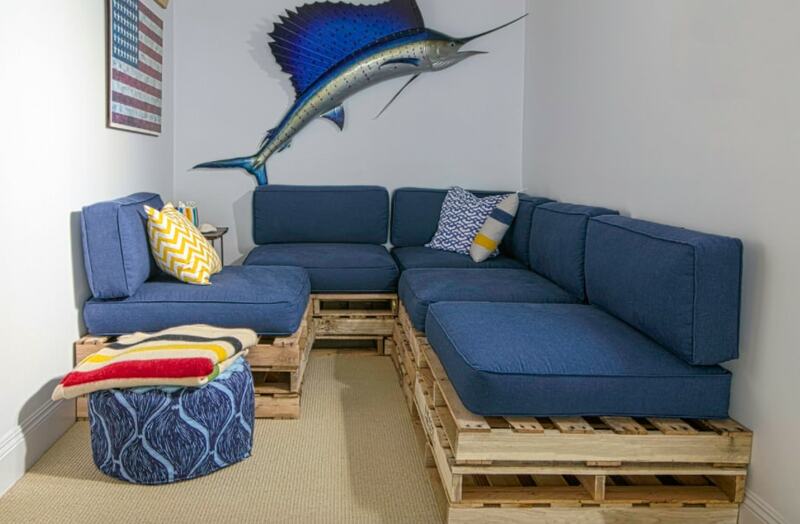 We offer you an impressive collection of photographic examples of pallets for building materials may not only to get a second life, but also become a highlight of the interior or landscape design. 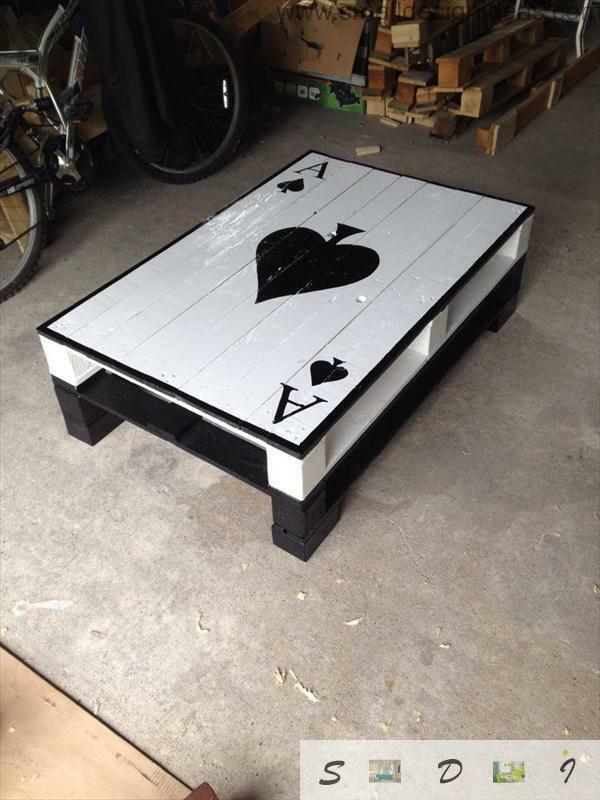 The most popular pieces of furniture, which are often made of building pallets are tables of various modifications. Their distribution is obvious – even a master without much experience can make the low table easily and quickly. In order to get a good piece of furniture, you need a minimum set of tools and furniture accessories. You can simply sand your coffee table, or stand, do not stain it, and thus bring the warm wood tones to the interior. Varnishing not only protect you and your household, but will extend the life of the new piece of furniture, as it is always a risk of spilling something on the furnishings. Or you can paint the resulting product, put the thick glass as the original countertop and provide your table with wheels for mobility. Such accessories are sold in all hardware store and is inexpensive. The free space between the two rows of pallets can be used as storage systems or be equipped as drawers. Provide them with the original handles. If the pallet can easily become a coffee table, then you can make writing or dining table fast enough too. To do this, “lengthen” the legs, placing part of the pallets perpendicular to the table top, painted products or varnish. 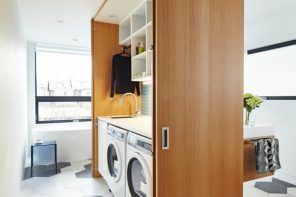 The resulting piece of furniture can be equipped with a glass top, drawers and original blocks on the sides for storing books, papers or magazines. Writing desk with drawers on metal legs separated by a restored stone can become a workplace or sector for creativity of two teenage children living in one room. 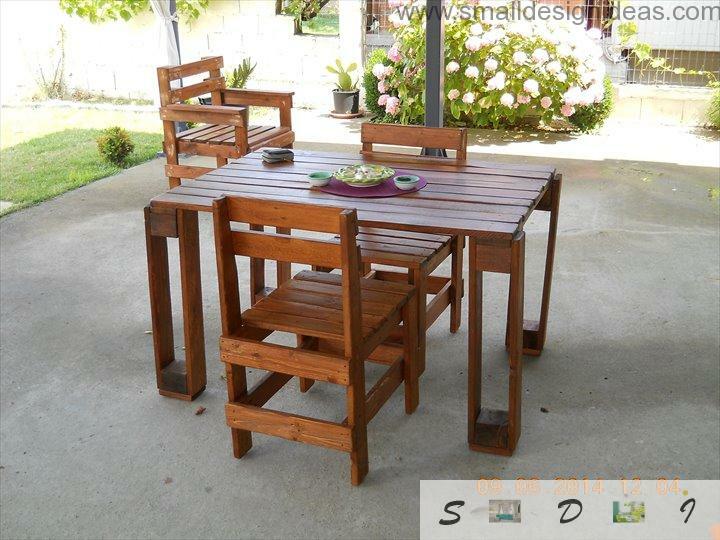 Dining table with wooden pallets mounted on metal legs with wheels (they can be purchased in stores furniture accessories) on the one hand – durable and reliable, and on the other – is mobile and can easily organize, together with chairs in the dining area anywhere. You can fully manufacture the bed frame from pallets. You can make the base as a single row of pallets (in this case, get a berth in the Asian-style interiors, where all the furniture is very low) or to put two levels one above another. you do not have to worry about the ventilation of a base for the bed, but it is not advised jumping much on the received frame. 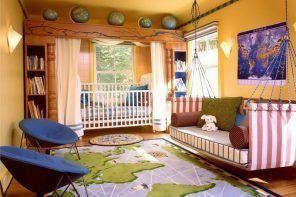 Depending on the style of the interior of your bedroom and the chosen color palette can fit as its natural wooden color, and painting of the frame. Pallets can be used to decorate the head of the bed. 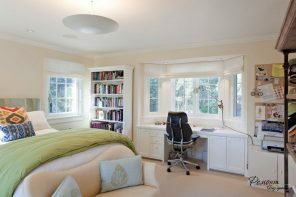 For the styles of the interior design, which use elements of such styles as the loft, minimalism, country, industrial pop art or their types, such decor can be a godsend, a highlight of modern bedroom. Trays for design of the headboard can be variously positioned relative to the walls and bed. In some cases, you can arrange a narrow shelf, in order to be able to put your phone or book. For a minimalist bedroom environment where the bed is not only the central piece of furniture, but often only one, will perfectly suit pallets as a material for the manufacture of the frame. 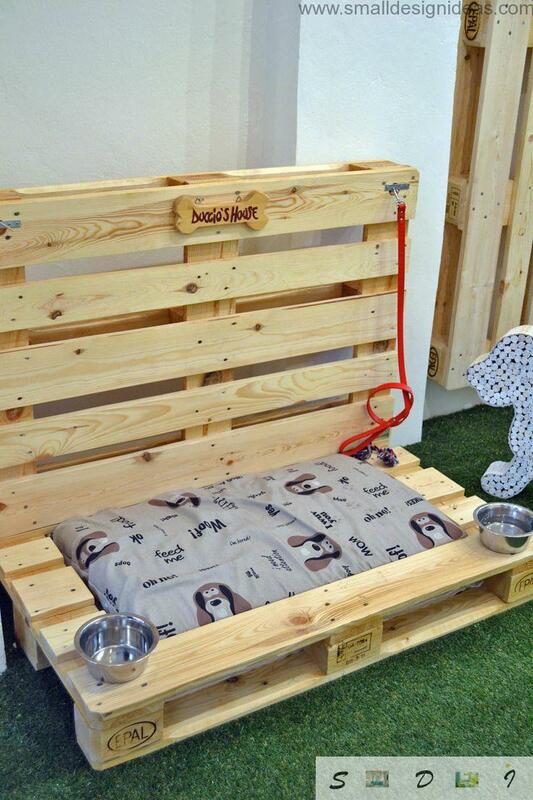 If you can make a bed of the pallet then make a sofa is the real deal. Obviously, this would require the acquisition of a piece of furniture soft seats and backs. But you can use a sofa, even in areas where there is a risk to smear upholstery, such as a kitchen or dining room, you will also be able to simply wash removable soft parts. The height of the sofa as a whole and the back in particular, the presence of armrests is all up to you. 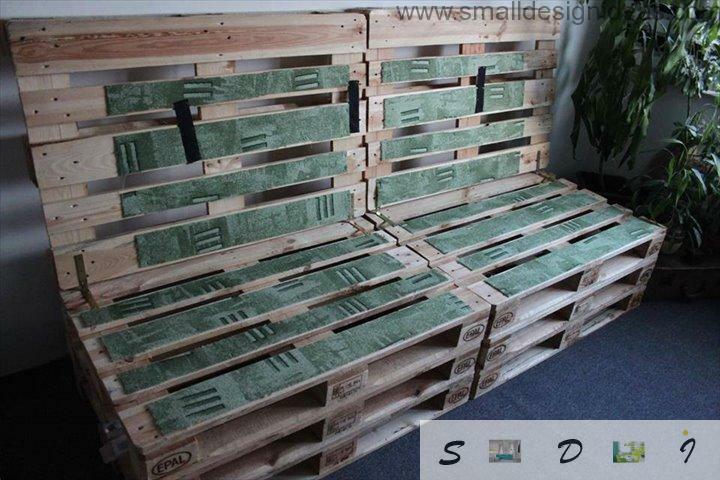 Given the standard size pallets – there is a bit of options, but they exist. These sofas with removable soft parts can be used for arranging the interior and be located on the street. You can leave pallets in their original coloring, processed only with special protective varnishes. 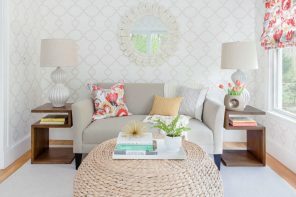 Or you can bring a variety of colors the interior of the premises and paint and the resulting frame of the sofa in a bright color, and maybe use contrasting combination of two colors. It is possible to make the whole ensemble of the sofas or use the angular modification to create a roomy piece of furniture from wooden building pallets. With soft pads and plenty of pillows so sofa can be a great seating area living room. 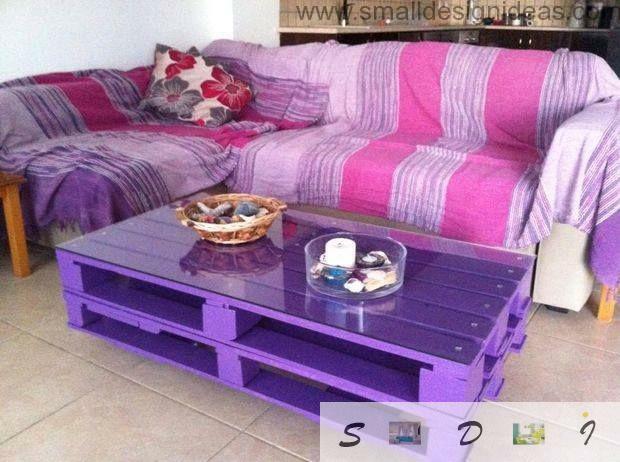 For a more austere ambient you can use the sofa made of pallets and without soft pads. By a similar scheme can be constructed and a small chair. The space between the levels of the pallet can be used as storage – put magazines or books that are currently relevant to you. 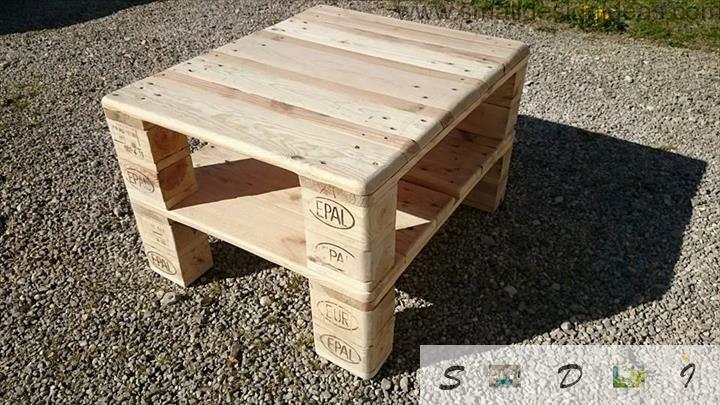 Using the boards, taken from old pallets, clearing them from dirt, sanding them, you can make not only furniture but also the decoration for your home. 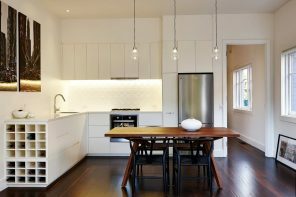 Original elements of the interior not only bring diversity to the traditional stop, make the room more original, but can become the focal point of the room of your home. 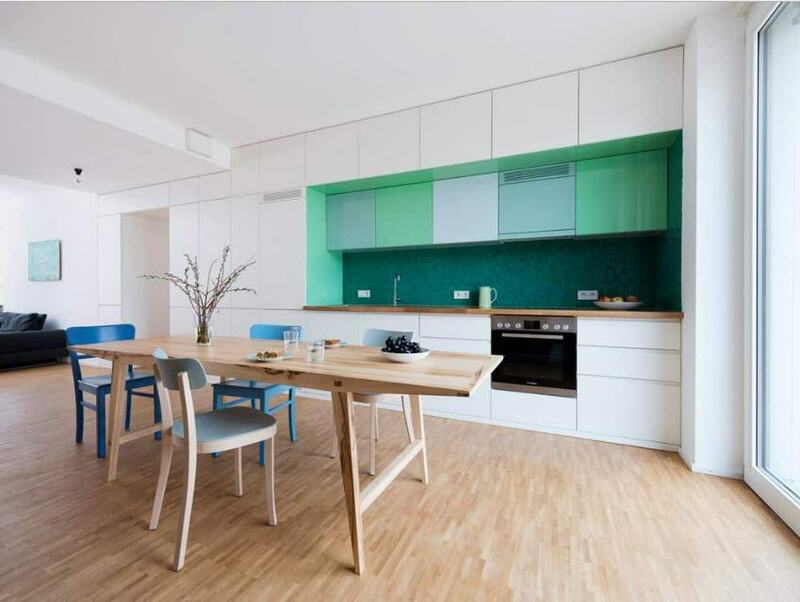 A small panel of wooden planks of equal shapes and colors with open shelves can be not only a wall decoration, but also the storage system for small items that are important to keep “at hand”. Just a few short boards, cobble together with the help of low ledges and a pair of handles on the sides – and original tray that you can use in situations when you need to bring anything, for example, breakfast in bed is ready. You can make a place of rest for your pet. The principle is similar to the manufacturing process of a sofa or chair. A spot for a dog or cat can be provided with a soft substrate, holes for the drinkers and bowls of food that they are always stationary and the water, the food would not be spilled. The original frame for mirrors, made of wooden pieces of different colors and shapes can highlight your bathroom or toilet. If you are not ready to bring the product of wooden pallets in your own home, try to use the building boxes for everything of your suburban area landscape or yard of a private house. Wooden planks from pallets can serve as the basis for a barbecue area. Do not forget to treat the surface of the heat-resistant impregnation. 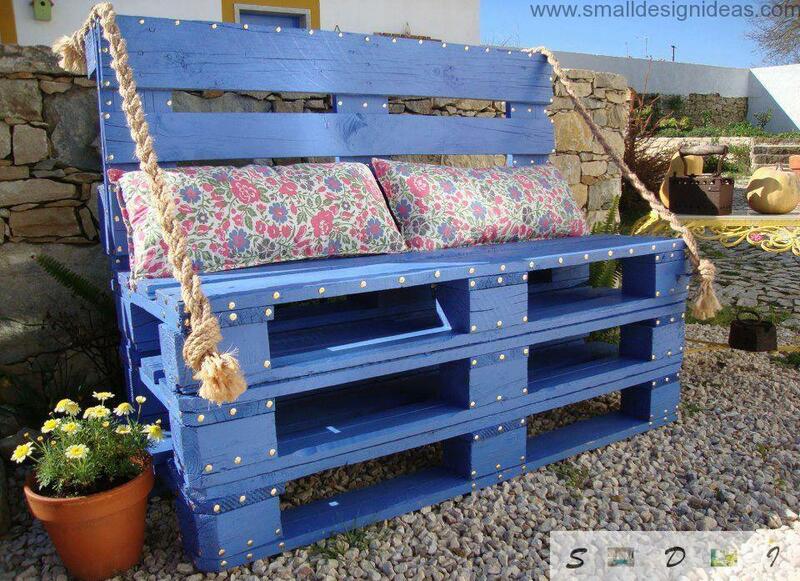 From pallet it is possible to get excellent, durable garden swing, which can be used both children and adults. The resulting product can be supplemented with soft seats or just a blanket for a comfortable stay. According to the principle of the same angle couches, you can build a place for sitting in the open air or on the terrace, porch, under a canopy. Adding a low table-stand to the resulting furniture components, you will receive a full sitting area. A small table and chairs for breakfast or dining area for four – a great opportunity for al fresco dining. What could be better for your own yard or a suburban area with a house? Already known bunk trolley can be used as a supplement to garden furniture to organize the recreation area in the open air. Thanks to the castors this thing is very mobile and you can easily hide it under a shed, if it starts to rain. Wooden pallets has limitless possibilities of application at the summer cottage or in the courtyard of a private home ownership. For example, such stands for flower pots and tubs can become a practical addition to the organization of landscape design of territory. These flower stands not only can be placed on the open sites, but be hanged on a fence or any other vertical surface. 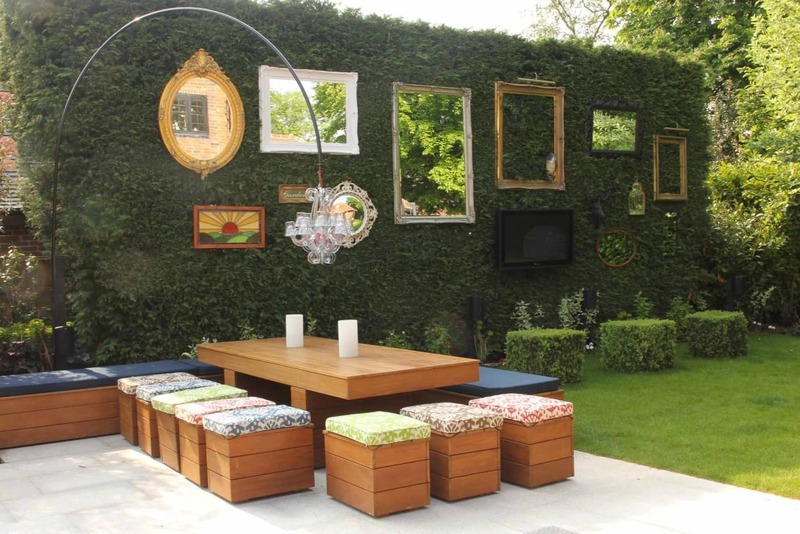 Small sofas and armchairs that you saw in the first section of the publication dedicated to the interior fittings can be used as garden furniture. Of course, this furniture will eventually fade in the sun and you should protect it from moisture very carefully, but such a garden furniture is much cheaper. And many impregnations, varnishes and other sprays can help to increase the lifetime of the product pallet for outdoor use. Wooden deck chairs for sunbathing and tanning is another way of a practical use of pallets. You can add soft mats to them and place beside the pool or simply in the open air in the courtyard or on the site. In any country site, or in the yard of a private house wooden bench, made of construction pallets, may come in handy. Painted in bright colors and equipped with soft seats or cushions bench can become a gathering place for the household or visitors of your tenure. The old pallets, which could just go to the fire ignition, you can use as the raw material for an entire composition of furniture that could complement the patio in your back yard or plot. This headset is not only reliable, practical, available at a cost, but also looks very organic.